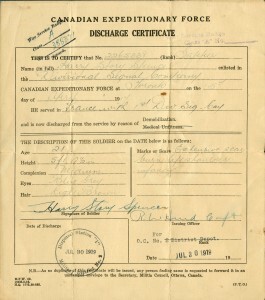 Military repatriation, or bringing the Canadian military home from Europe, was the largest movement of people in Canadian history up to that time. Military officers and civilian planners worked with aid agencies to speed the process but, for soldiers overseas, the months of waiting were long, frustrating, and difficult to understand. Soldiers awaiting repatriation battled against boredom. To sustain morale, the military promoted physical training programs, organized sports, and a wide range of recreational activities. 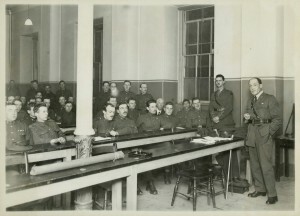 It also expanded the Khaki University, first established in 1917, to offer elementary to university level courses to idle troops. 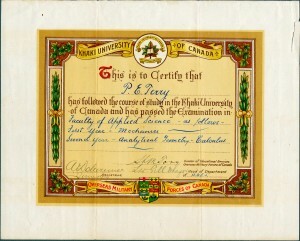 Some 50,000 Canadians took part in this pioneering education program that prepared veterans for post-war life, and occupied leisure hours while they waited for shipping berths to take them home. By August 1919, most had sailed for home. The repatriation of 267,813 soldiers and an estimated 54,000 dependents was an enormous logistical challenge. 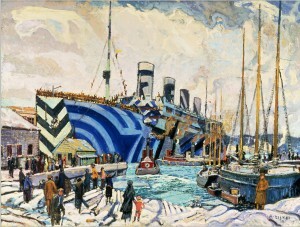 Trans-Atlantic shipping had been allotted to the Canadians for up to 50,000 departures per month, but some of the first vessels available were far from adequate and their arrival in Canada created a minor scandal. The ensuing demand for better ships resulted in delays and cancellations overseas as the authorities searched for more suitable vessels. 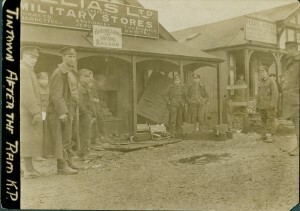 Exceptionally bad winter weather and a rash of strikes by dock workers, police officers, and railway employees in Great Britain worsened the mood of waiting troops. A further difficulty was the capacity of Canadian ports and railways to handle the influx of people. The railroads could initially promise only 25,000 spaces per month, exactly half the number of soldiers and dependents expected to arrive. Saint John and Halifax were the only large, ice-free Canadian ports, and the latter was still rebuilding from a massive explosion the previous year that had destroyed most dockside facilities. The main political challenge was devising a fair selection system for going home that rewarded length of service but maintained unit morale and military efficiency. Ottawa originally envisioned a “first over, first back” policy, with pride of return going to those troops who had been in Europe the longest, but the Corps commander, Sir Arthur Currie, fought for Canadians to return as units. This, Currie argued, would be more efficient and would better maintain discipline in the transition period. 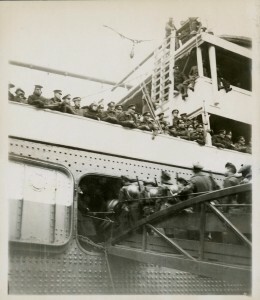 It also helped ensure that units disembarking in Canada would be properly welcomed by their communities, something that might not be possible if soldiers returned singly or in small groups under the government’s proposed system. 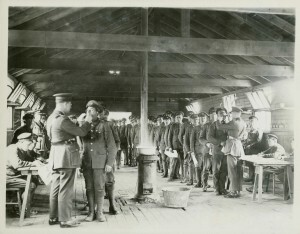 Currie’s wishes on the repatriation system eventually prevailed, but not before many soldiers in training camps – and therefore with no front line service – had gone home. Boredom, lack of information, rumours, and growing frustration with the shortage of shipping contributed to confusion and anger among those left behind. 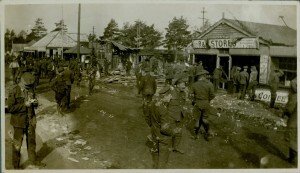 Between 1918 and 1919, there were 13 incidents of unrest at demobilization camps. The most serious, at Kinmel Park on 4-5 March 1919, left five soldiers dead and another 23 wounded. 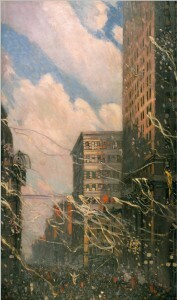 There were arrests and convictions, but the unrest convinced British authorities to fast-track the Canadians’ return. 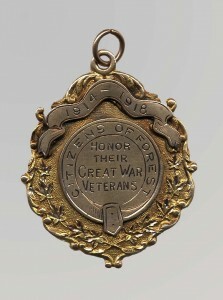 By late summer, almost all Canadian forces in England had sailed home. Despite the disturbances, the demobilization process had moved quickly and with relative ease. Ladies wave good-bye to 5,000 Canadians leaving Southampton, England on the S.S. Olympic in April 1919. 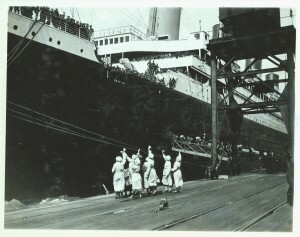 The S.S. Olympic earned the nickname "Old Reliable" for its wartime service in transporting over 200,000 troops and other personnel between North America and Great Britain from 1915 to 1919.